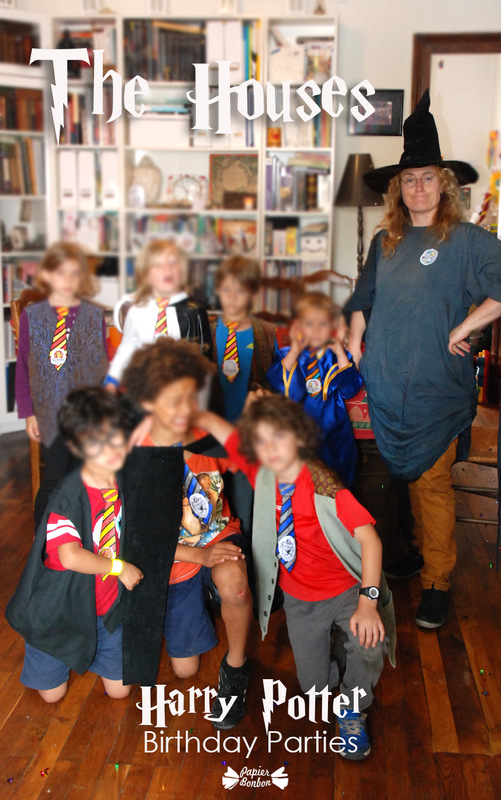 Here is quite a long post on a Harry Potter birthday we organized for our son last june. 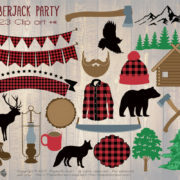 For the occasion, I created quite a few printables I wanted to share with you. As a fan since the very beginning, you can imagine I strongly advised my children to read the books. But in the end, I read the 3 first books to my eldest son who wasn’t reading easily yet. We’ll see for the following books when he gets older. 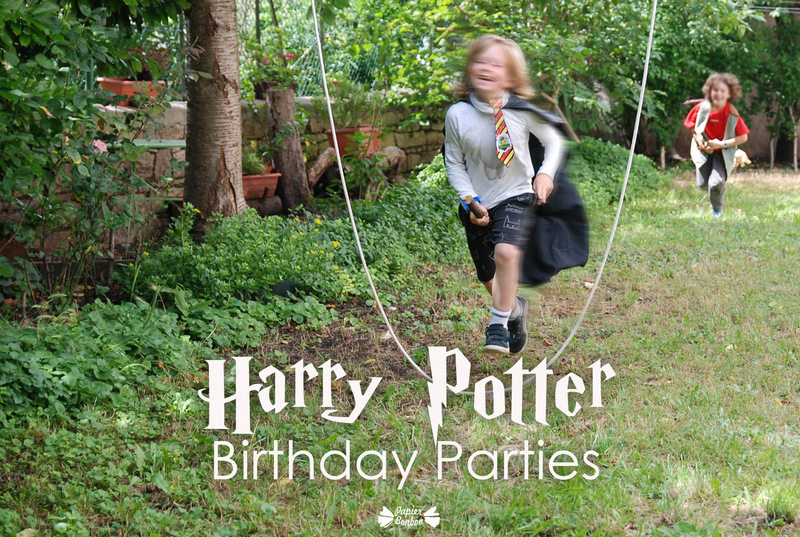 Obviously, I am not the only one to think about Harry Potter parties since the first generation of fans are now old enough to have children. And we want to share this fabulous world of fantasy with them. 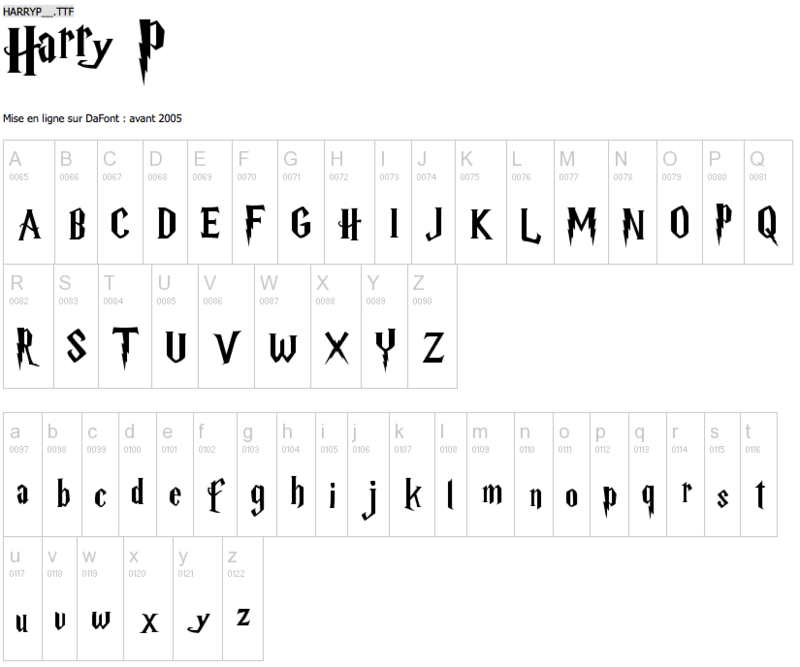 Many ressources can be found on the Internet to prepare Harry Potter birthday parties ( I will share many links at the end of this post and I want to thank every one from whom I borrowed designs ). 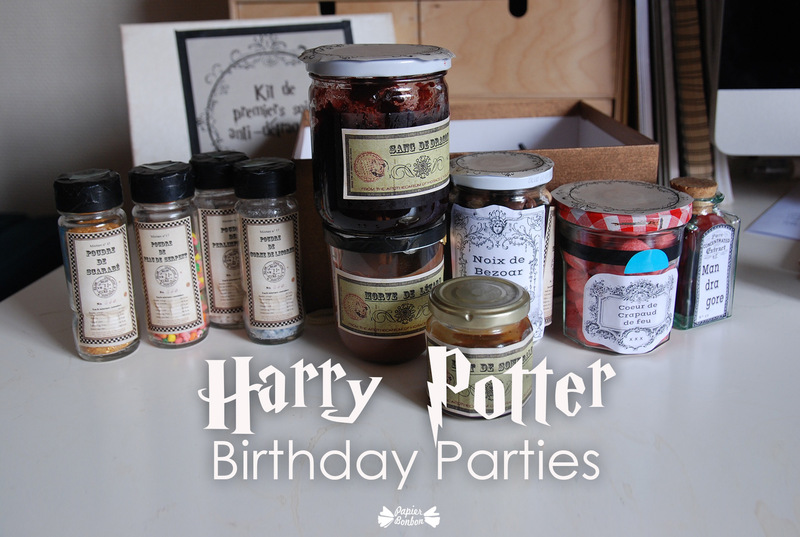 So here is my contribution to Harry Potter party supplies. 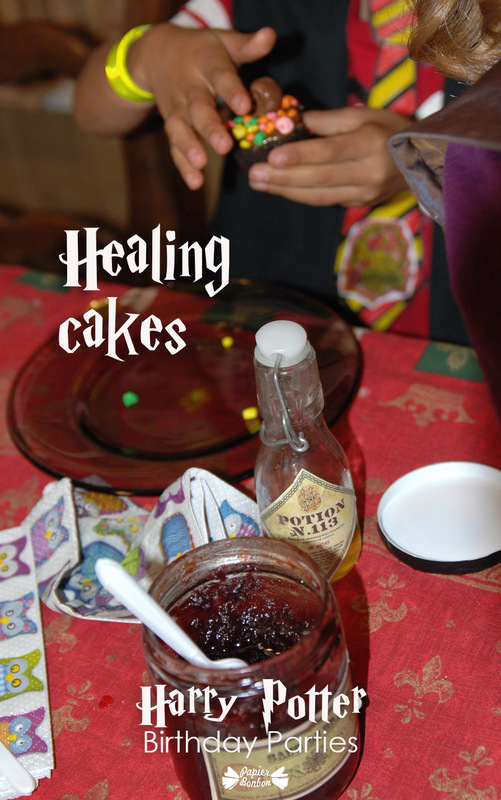 I may write a second post for we also participated to another Harry Potter party. Two couples of our friends share the same taste for this series of books. 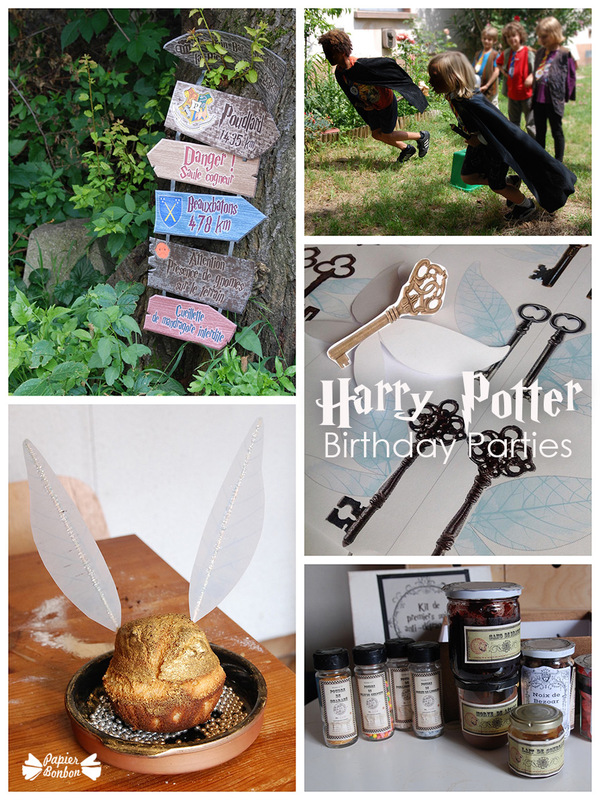 No wonder, their kids asked for a Harry Potter birthday too. So I have quite a few nice creations to share. 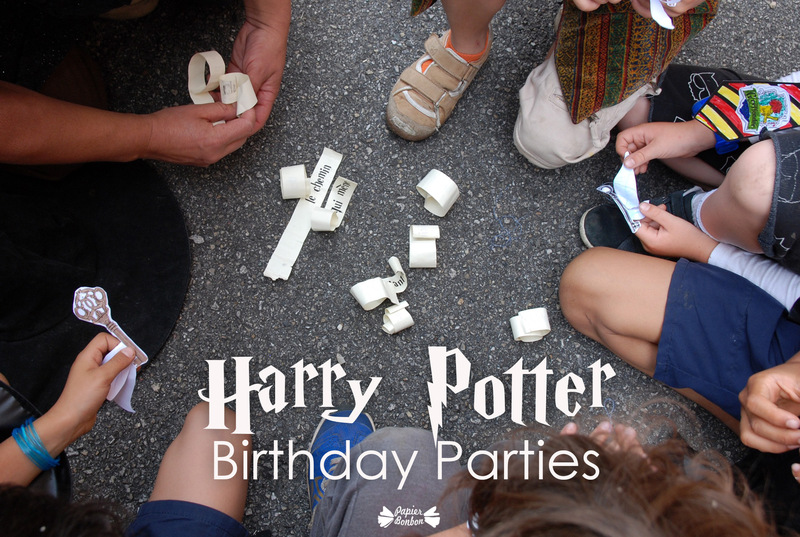 But first let’s have a little tour of our ideas, games and printables that came with our son’s Harry Potter birthday. In a last-minute rush, I made it as a tiny old book and my son was able to give them in time to his friends. I thought it might be nice to transform it in an editable pdf so I can share it here. You will be able to edit your own text in Acrobat Reader. 1. Open the editable file for the food labels in Adobe reader only. 2. Click on the purple “Highlight Fields” button: Areas that you can type in will be highlighted! 4. Review your file to be sure it is customized correctly. There were good chance to be raining at the beginning of the afternoon. So we had to imagine indoors activities. Let’s have a sorting party then ! We will sort every child to a house as when students first arrive in Hogwarts, the school of witchcraft and wizardry. 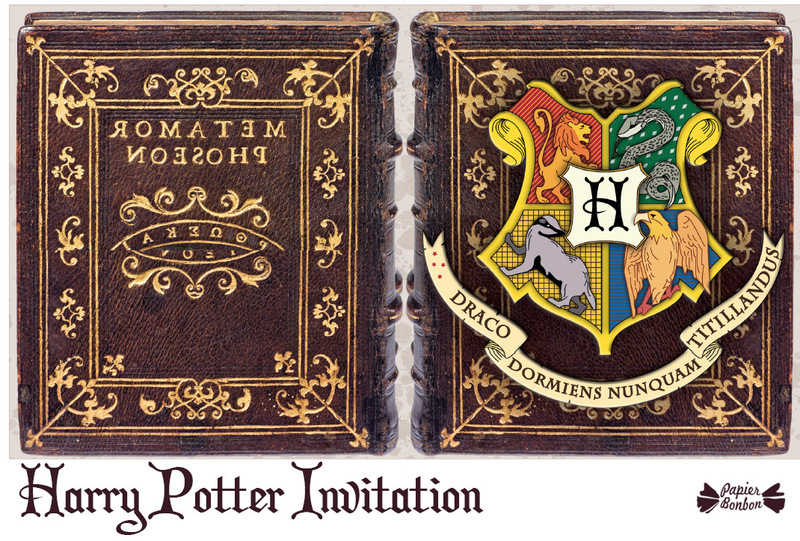 I recorded 4 tracks for each house (Gryffynfor, Hufflepuff, Ravenclaw and Slytherin) of me yelling the names. 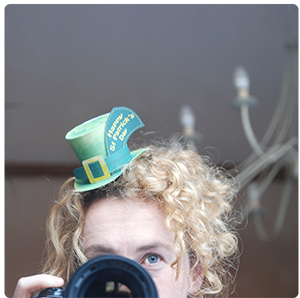 We fixed the bluethooth speaker in a witch hat (the usual Halloween outfit). And I had just to run the good track according to the wish the child shared with us before the sorting. 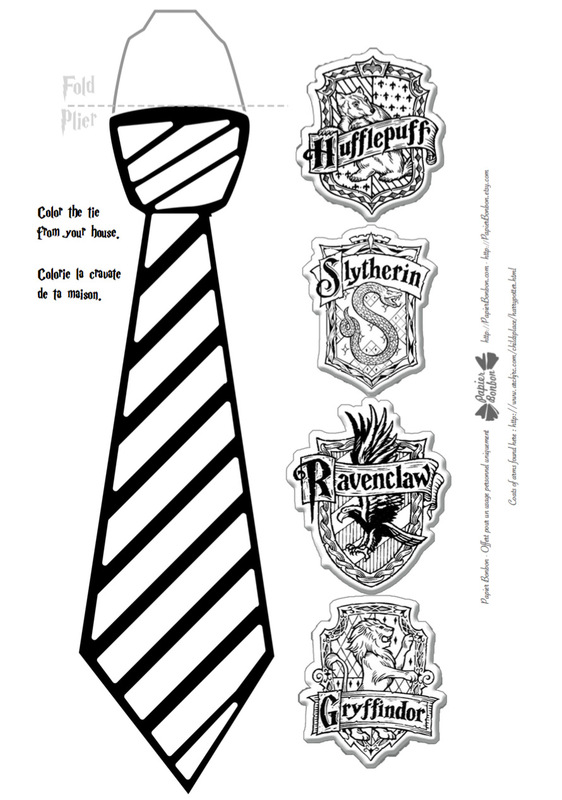 We carried on with a crafting activity on the ties from the 4 houses of the school of witchcraft and wizardry. They all have there own colors and coat of arms. 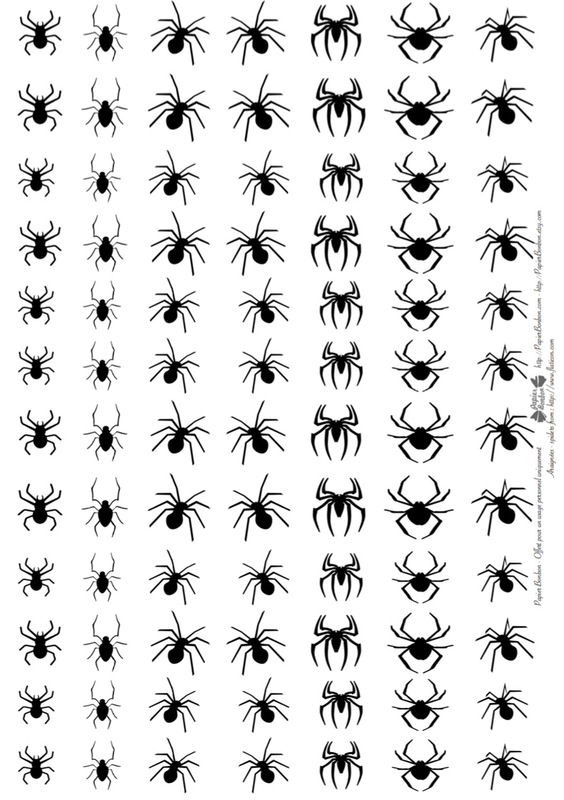 I prepared a printable for this activity (link to it below). 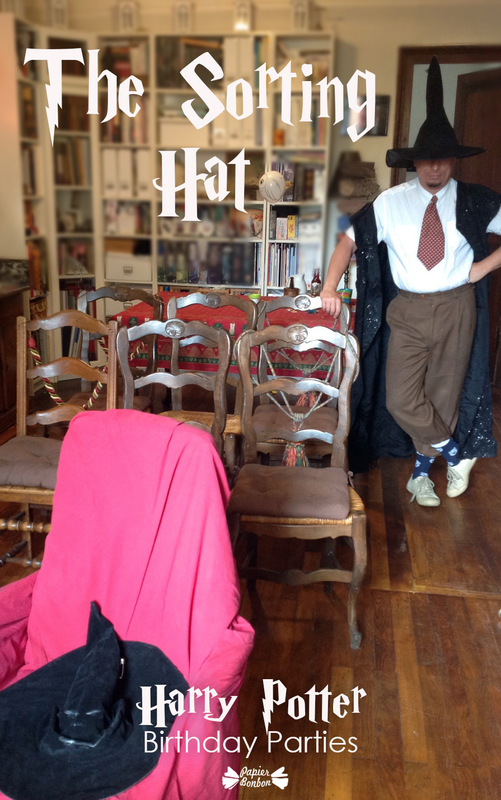 It’s composed of a pattern of a tie and the 4 coats of arms. 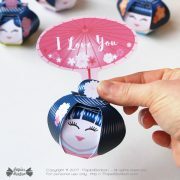 Once the coloring and gluing is done, you can tie it to the neck with a thin rubber band. It’s quite funny when all the children are wearing them. Quite a picture ! The game was to oppose two teams on an acrobatic course sharing a single broom for each team. 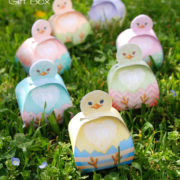 Quite fun ! It’s amazing how on the photographs, it looks as if the children are really flying ! 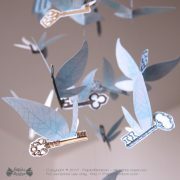 …to get to know where the cup for the relay race has disappeared… Tiny papers with parts of a message were tied to the flying keys. 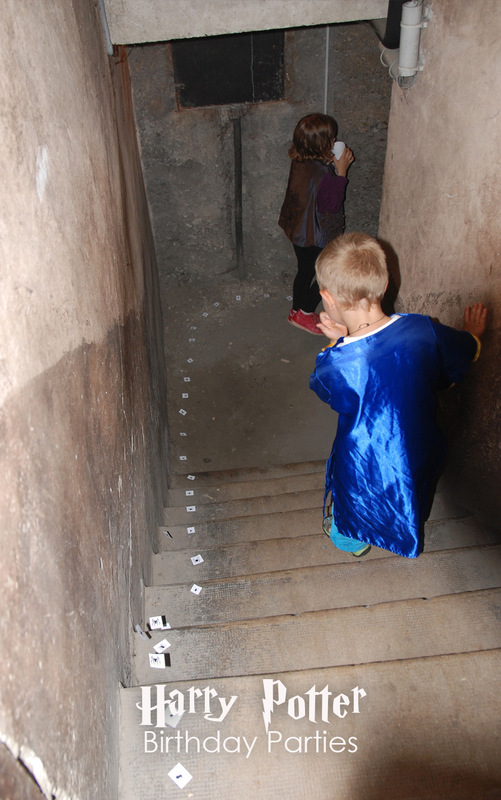 The message hidden in the flying keys told the children they had to follow the path of the spiders to the den of dementors in order to find the missing cup… I composed a sheet of spiders in order to cut them as confettis and make a path going down in the basement… The kids were thrilled ! No wonder this activity was a success! Thanks again to people on the Internet for all the things I found. 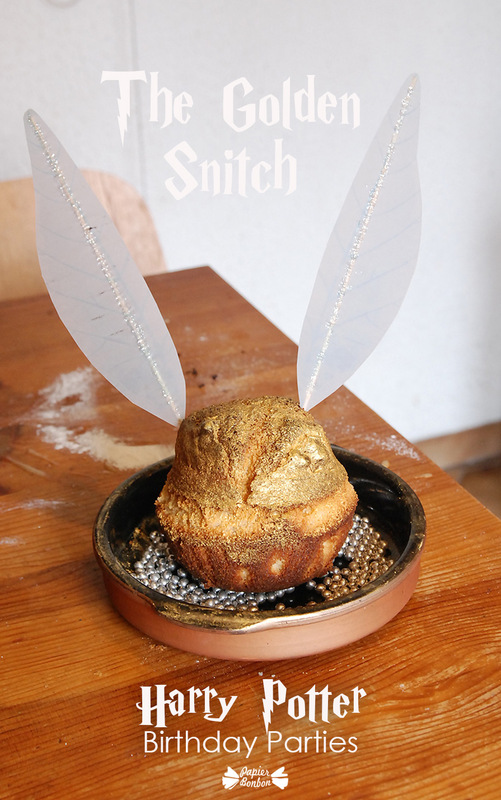 And the golden snitch cake ! I made a simple cake in a round mould. I sprinkled it with a cooking gold powder. I created a template of wings that I printed on tracing paper, glued it to wooden stick. 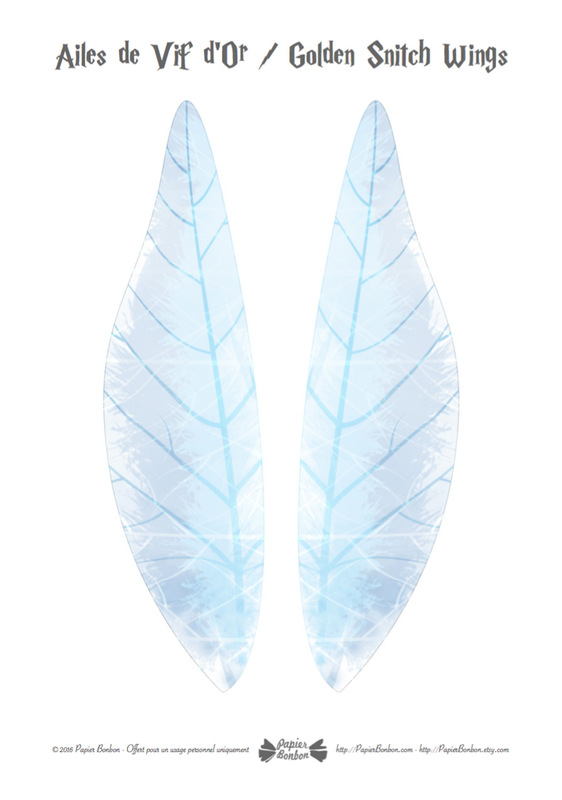 Here is the file for the wings if you want to make the same kind of cake. 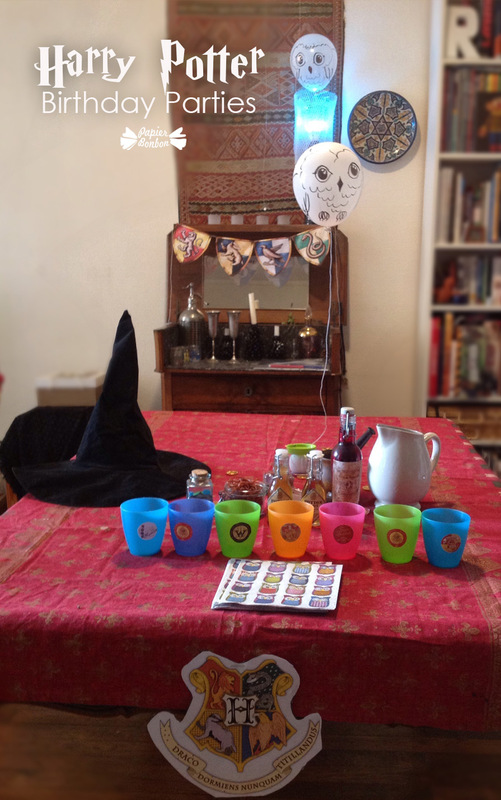 I think I made a nice tour of our Harry Potter birthday party. 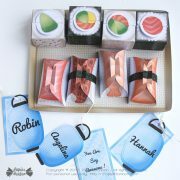 I hoped you liked our ideas and will use them and the printables. 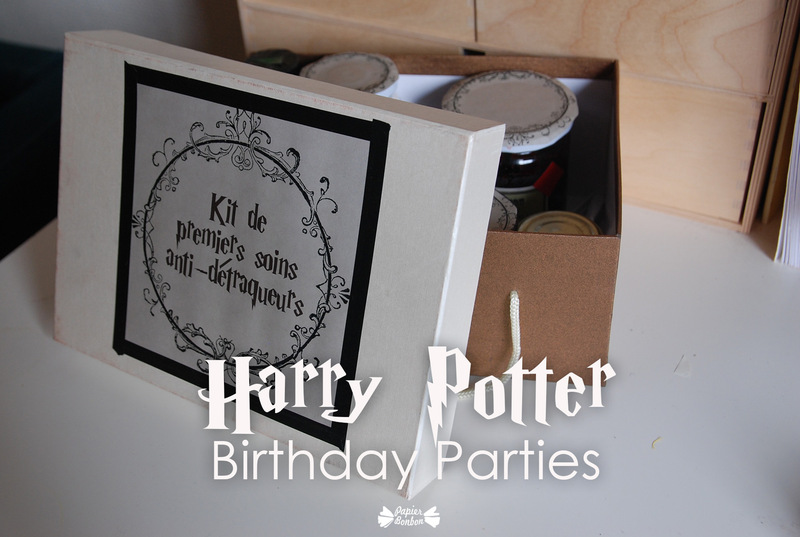 Don’t hesitate to comment and to share your own experience of Harry Potter parties. One of the most beautiful feedback we got from the mother of a child, is that he started to read the books on his own after this party. What a reward ! 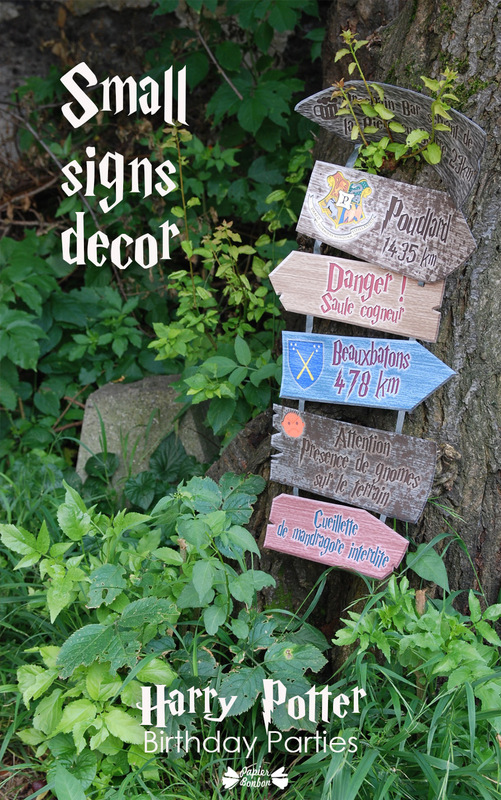 I decided to sell the Harry Potter signs in my shop. And will add a kit for the flying keys as well. I add a personalized sign: you choose the text and color. 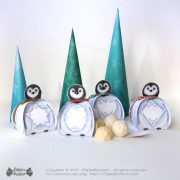 I really loved these ideas and they made beautiful bedroom decors for my children after the party. 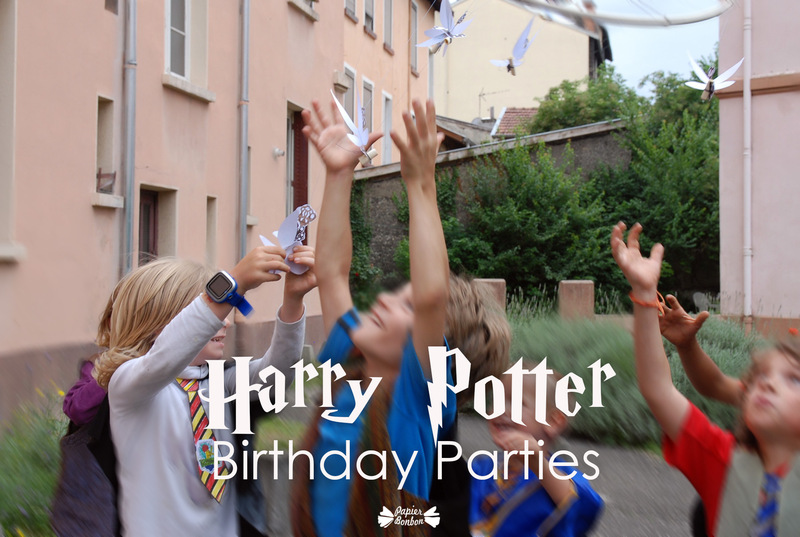 I will come back with a second post on a Harry Potter birthday party, the one organized by my friend “La Maman du Magicien” (the wizard’s mother, a french blogger). I created a few things for the occasion and I would like to show you.